Aleksandra's Note: A very controversial essay has been published in the most recent issue of "Britic: A British Serb Magazine" (#12, 2011) regarding Serbs from Croatia. 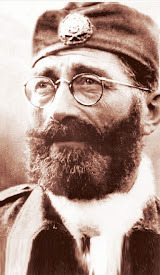 The original article written and posted by Alan Jaksic on August 9, 2011 comes from the Blog "Balkan Anarchist" and is titled "I'm a Croatian Serb". "Britic" first carried the story as it was originally posted on "Balkan Anarchist", however the title of the essay and the first paragraph have since been amended (changed) to read differently in "Britic". 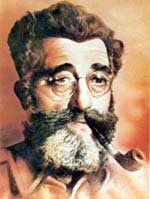 The original title and first paragraph on the "Balkan Anarchist" blog remain as originally written and posted. 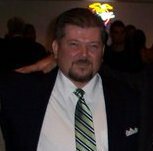 "I am an ethnic Serb born in Croatia, and having ancestry from that country as well makes me a 'Croatian Serb'. I come from Lika, a mountainous region on the Adriatic sea, but you can also find Croatian Serbs in other parts of Croatia like Northern Dalmatia, Kordun, Banija and Slavonija, and there is a large population of Croatian Serbs in the country's capital Zagreb..."
"BEING A SERB FROM MODERN-DAY CROATIA"
"I am an ethnic Serb born in Croatia, and I also have ancestry from that country. I come from Lika, a mountainous region on the Adriatic sea, but you can also find Serbs in other parts of modern-day Croatia like Northern Dalmatia, Kordun, Banija and Slavonija, and there is a large population of Serbs in the country’s capital Zagreb..."
What I am posting here is the important, insightful and necessary response of Mr. Dusan Ivancevic, a member of the Facebook group "Ja Sam iz Cetnicke Familije / I'm from a Chetnik Family", to this article. My sincere thanks to Mr. Ivancevic for taking the time to respond. He speaks for many of us. 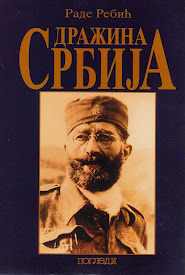 In regards to the article "Croatian Serbs"
Is the author trying to say that the Krajina Serbs became just that because of history and politics? That they weren’t Serbs at some point in time? 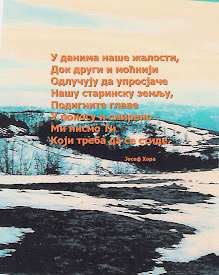 Can we assume that the author is saying that, Krajina Serbs are not really Serbs but they are of people who are primarily Orthodox? Notice how the name SERB was left out of the phrase Orthodox Christians. This statement confirms my questions regarding the author’s intent. According to many ancient historians, Serbs were settled in Southern Lika and Northern Dalmatia long before the Croats came to those regions. The author is clearly saying that this was Croatian land that a Catholic Empire gave to the Serbs. The Germans did not bring the Ustaše. 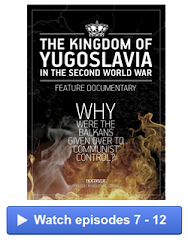 The Ustaše were already existent in the Kingdom of Yugoslavia and were supported by the Communist Party of Yugoslavia. This statement glosses over the number of Ustaša victims which I would consider an open door for revisionists. This is also incorrect. 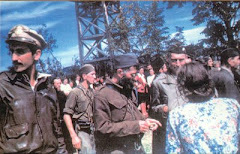 The Yugoslavian Army in the Homeland was far more multi-ethnic than the Partizan paramilitary which consisted of about 95% Serbs, while the remainder being the head of the CPY were Croatian. These percentages of Serbs vs. Croat in the Partizan paramilitary did not change until 1943, when Italy capitulated, and hordes of Ustaše, both Croatian and “Bosnian” massively began switching over to the Partizan side. Not true. 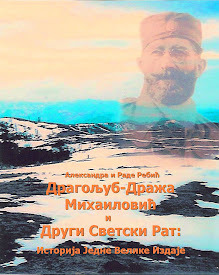 Very few battles were fought between Partizans and Ustaše and practically none with the Germans . The battles were almost entirely Partizans and Ustaše or Partizans and Nazis against Mihailovich’s forces. Furthermore, the Partizans did not achieve complete victory over German occupiers. The Red Army did. Italy capitulated in 1943 to the Allies, not the Partizan paramilitary. 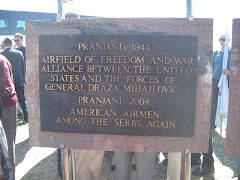 I’ve yet to hear a combatant from Lika or Dalmatia from that war consider themselves Croatian Serbs. 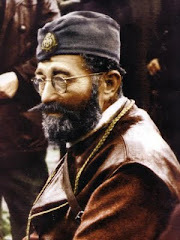 "The intention on the part of the ethnic Serb ‘rebels’ (as they were labelled by the Croatian media at the time, and still are today) was to either stay within the Yugoslav federation, or along with Serbia form a ‘Greater Serbia’, for which they received political and military support from Slobodan Milošević’s régime in Belgrade. A year earlier, ethnic Serbs showed their opposition to Croatia’s aspiration to seceed in protests that have been branded the ‘Log revolution’, for their use of timber to blockade roads connecting Serb-populated areas to the rest of Croatia. In relation to the outside world, the Republic of Croatia received international recognition, whereas Republika Srpska Krajina received none. 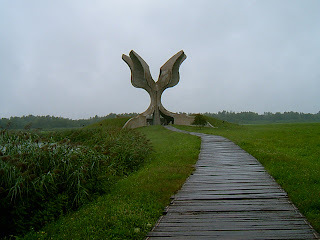 Nevertheless, full-scale war erupted in August ’91, which brought about the displacement of over 100,000 Croats and other non-Serbs from their homes. This displacement, accompanied by destruction of property, violence and even murders of civilians, is considered an act of ‘ethnic cleansing’, as its aim was to remove ethnic Croats from the region. However, the Krajina-Serb authorities justified this act, claiming it was necessary for the “protection” and “security” of the ethnic Serb population in that same region." In this entire paragraph there is not one mention of Croatian pogroms against Serbian civilians prior to the outbreak of war. Dušane, thank you for taking the time to read my article about Serbs from modern-day Croatia or Croatian Serbs. About its two versions: I originally received a fair amount of stick for using the term "Croatian Serbs" in the original. So when the article got published in Britić, I intended to edit it as quickly as I could, so as to reduce the frequency of that disputed term therein. Just to clarify a few things: My article about Serbs from Croatia, or Croatian Serbs, is supposed to serve as an introduction to the issues that concern this population, to which I personally belong. It's not meant to be a in-depth, detailed look at our entire history and our customs. I understand your concern when you complain that, "…there is not one mention of Croatian pogroms against Serbian civilians prior to the outbreak of war", and that, "This statement glosses over the number of Ustaša victims which I would consider an open door for revisionists". But like I mention above, my article is merely an introduction with the aim to inspire further interest and research into issues that concerns Serbs in Lika, Dalmatia, etc. That's all. 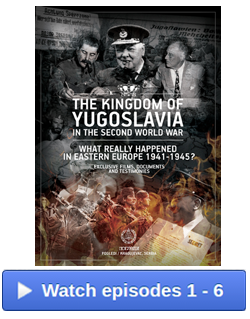 You criticise my use of the word "bring" in the sentence: "It was brought to Yugoslavia in 1941 with Nazi Germany’s invasion of the country, bringing with it fascist régimes like that of Ante Pavelić and his Ustaše…". However, I never in the slightest suggested that the Ustaše weren't already extant within Yugoslavia prior to the German invasion; just that the Nazis invaded and the Ustaša régime was established following their arrival. That's it. 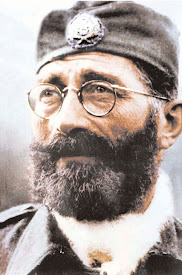 You also feel the need to correct me when you explain: "The Yugoslavian Army in the Homeland was far more multi-ethnic than the Partizan paramilitary…" However, I never suggested that the Yugoslav Royal Army was always Serb-dominated, and thus never multi-ethnic; just that it was Serb-dominated, which, by the end of the war, was certainly true. And I doubt that you will doubt that! Nevertheless, if you feel the need to comment about any article on my blog, feel free to leave a comment at my Balkan Anarchist blog, so I can respond to you quicker.